Join us for our 2019 Caregiver Cruise! We know it can be difficult to travel when your loved one has memory impairment, but we all still need a vacation! Caregivers are welcome to come by yourself or with your loved one. IMCC will provide supervision during excursions, and respite at sea from 9 am to 1 pm and during evening dinner and shows. Personal care assistance cannot be provided by IMCC during the cruise. We can also help arrange for respite care at home, if needed. • King's Wharf features shops and museums in the Royal Naval Dockyard, sailing in Hamilton Sound, the Bermuda Arts Cetner and Craft market, and a snorkel park and water-sport facility. • Planned excursions include a Glass Bottom Boat Tour, and Island Sightseeing Tour of Bermuda. Price includes cruise, taxes, gratuity, excursions, transportation from IMCC to Port of Baltimore and back to IMCC, and IMCC fee for respite care. Drinks and incidentals are not included. Please contact Christi Clark at 703-204-4664 or christi.clark@insightmcc.org if you would like more information. Want to Support the Cruise? Learn more about becoming a Cruise Sponsor or contact Bianca Spatafora at 703-204-4664 or bianca.spatafora@insightmcc.org. We can all use a getaway, but what about traveling when your loved one has dementia? 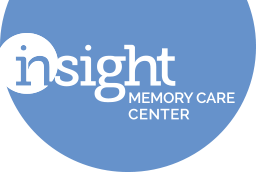 It can certainly be difficult, and that’s why Insight Memory Care Center offers a Caregiver Cruise! Both the individual with a dementia diagnosis and their caregiver attend, making the program possibly the first of its kind in the country. In addition to the many benefits a cruise offers – the chance for a vacation, seeing new sights, a getaway – the caregiver cruise provides families with a chance to vacation in a safe and supportive environment. Insight’s first Caregiver Cruise was offered in 2015. We sailed aboard the Grandeur of the Seas down to the Bahamas, allowing 8 couples to enjoy Port Canaveral, Nassau, CocoCay, and Key West. In June 2016 we took another 8 couples on our second annual cruise to New England and Canada. Families enjoyed stops in Boston, Portland, St. John’s, and Halifax. For our third annual cruise, caregivers enjoyed the sunny beaches of Bermuda! We took a glass bottom boat tour, got our toes in the pink sand beaches, and explored the city of Hamilton. We also had some time for shopping, sampling rum cake, and taking advantage of all the amenities onboard the Anthem of the Seas. Our 4th cruise had us returning to New England and Canada in July 2018 for lots of sightseeing, seafood sampling, and fun with Insight friends! "Honest, loving caregivers sharing the same fears."